Postgresql exporter in docker. 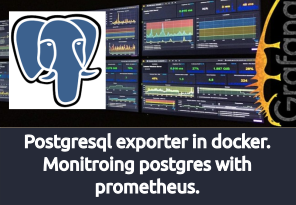 Monitroing postgres with prometheus. And create config in prometheus server.